The Cover Contessa: Blogiversary Celebration Day #2: Top Ten Books I Read in 2012 and Giveaway! Blogiversary Celebration Day #2: Top Ten Books I Read in 2012 and Giveaway! Welcome to Blogiversary Celebration Day #2! Today I'm going to give you an idea of what I read, and what makes me happy. I'm going to list my top 10 picks of books from 2012! So, want to see what I consider top notch? Read on (and click the books to see the blurb on Goodreads)! Being a Keeper isn't just dangerous - it's a constant reminder of those Mac has lost. Da's death was hard enough, but now her little brother is gone too. Mac starts to wonder about the boundary between living and dying, sleeping and waking. In the Archive, the dead must never be disturbed. And yet, someone is deliberately altering Histories, erasing essential chapters. Unless Mac can piece together what remains, the Archive itself might crumble and fall. So, that's it. And it's by no means exhaustive! Here is a link to my 2012 Goodreads list if you'd like to see other books I loved last year! Tell me, what were some of your favorite reads in 2012? Did you read any of the books I did? How did you like them? And now for the Rafflecopter. Just fill it out below for your chance to win 1 of 13 prizes! I had a couple favs in 2012. Dark Seraphine by KaSonndra Leigh, The Dwellers series by David Estes, Eve and Adam by Michael Grant, Brightest Kind of Darkness by P.T. Michelle, the Hex Hall series, Article 5, The Selection by Kiera Cass, the Hunger Games trilogy...I'm just going to stop now because there were tons of great reads last year! I loved Divergent too. Superb dystopian read, my favorite genre. You will love my post for tomorrow. Keep an eye out. When you read it, you'll know why! I still have to read Eve and Adam and I'm starting the last book in the Hex Hall series this week as I have an ARC of her first book for the next series. There really were a ton of great reads, it was hard to pick. I have so many more! Divergent ... yup, yup, agreed. Obsidian ... yup, though I thought Onyx topped it. I only got to read a short amount of The Archived but really liked that preview. I totally agree on Crux and Day After. The others, though? I haven't read the TMI spin-off yet, though I've still to read past City of Bones; I've got Shatter Me on my Kindle, waiting for attention; Splintered I've heard is very good; The Darkest Minds, too; and Lacrimosa is a new to me author. I didn't get the same feeling with Onyx that I did with Obsidian. I think b/c the characters were not new to me. I still loved that, tho! You must must must read Christine's stuff, Julie. I think you will really love it. 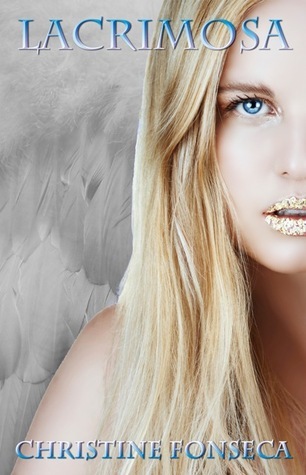 Her Requiem series is AMAZING stuff. Still one more book left to come out, tho. And Shatter Me...*sighs* and Unravel me was JUST AS GOOD! 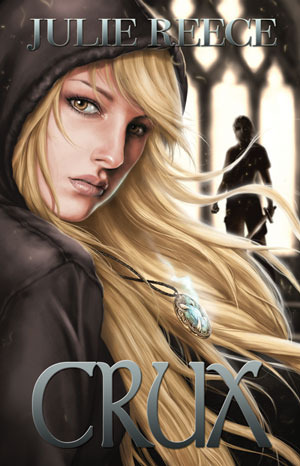 I read Crux by Julie Reece and Shatter Me by. Tahereh Mafi and loved them both! All of the others are on my TBR list! I love both books that I mentioned, so I totally agree! Crux was a surprise to me last year. I loved the cover, got to read it as an R&R and wasn't expecting to love it so much. But I did! If you read them, most likely I did too or I will! Love the list! Have them all on my TBR list. I read Shatter Me. My favorites of 2012 were probably: Hallowed/Cynthia Hand, The Golden Lily/Richelle Mead, and 13/Kelley Armstrong. I haven't gotten to read as much as I would like! Plus I'm just getting into these authors and genres that you love so much! Can't wait to read these, though!! I read The Archived, Obsidian, and Divergent. Loved them all. The others are definitely on my TBR list, but I've put a hiatus on my reading for the moment. 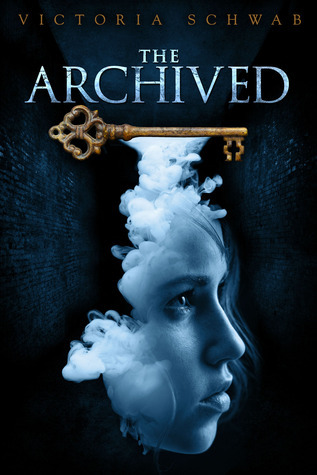 The ARchived was one of my favorite reads of last year. I got to meet Victoria a few weeks ago. I was fangirling so much! Divergent :) I liked it but not as much as everyone else it seems! I rather enjoyed it out of all the dystopians I have read. Sighs....I just love this series! I can't wait for book three! I read book two as soon as it came out, so that's greater than a year! UGH! I read Divergent and Shatter Me <3 them. I have read Clockwork Angel and Shatter Me! I liked both of them. But the other I haven't yet they are waiting on my shelf though. 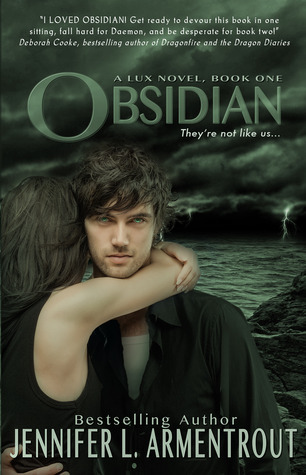 Oh and I read Obsidian! How could you forget Daemon???? 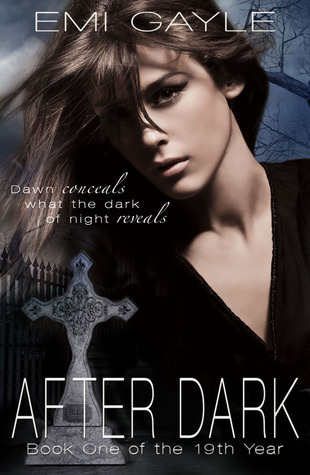 I read After Dark..Very good book..Thanks for sharing this with us!! Loved that book! I can't wait to be on the blog tour in two weeks! 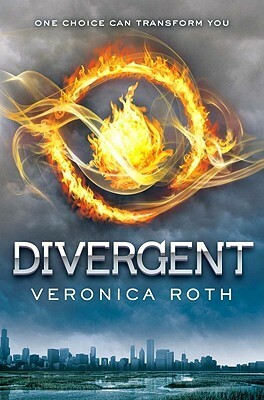 Divergent is my favorite series right now. I read it a week after It's release. I loved it so much that I kept going on and on about it to my niece. She finally caved last year! I haven't gotten to Clockwork Angel or Obsidian yet. I haven't read any of those yet but I've heard great things about those books! Happy Blogoversary!! I hope you get to some of them as they are really great! Thanks for stopping by! I loved The Hunger Games, Divergent, The mish Blood suckers Series, The Alexa Montgomery Series, The Light-Bearer Series. I could go on and on! I know! It's hard to pick. There were SO many more I wanted to include on my list! 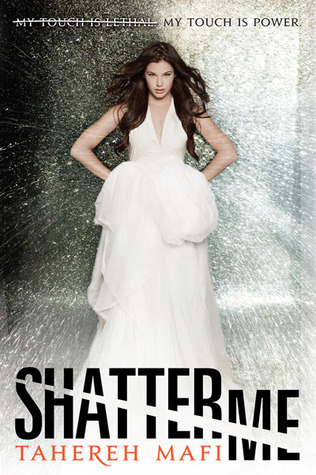 Shatter Me was awesome! I personally loved Daughter of Smoke and Bone. Have heard great things about DoS&B. I have it on my list. I can't wait to start it! I have Cassandra CLare's books on my TBR pile, but I haven't read any of the others, YET! I read the Outlander series last year, and it got me back into reading more! I love the Lux series. I can't wait for the final installment. That last one was a cliffhanger for sure! YAY! Obsidian was my favorite in 2012! Actually, I love the whole series (so far). But Daemon has got some serious competition for Top Book Boyfriend this year. Lol. Splintered and Shatter Me are also on my TBR list. Can't wait to read them! Yup, Lux series is awesome. Actually JLA is awesome. I love her Covenant series! Sorry I had to get that out of my chest.. I read that and all the other books in the series and then Shatter Me and Lacrimosa. I really enjoyed all of them! Oh yes, it was fantastic. I'm all about Xmen type book stuff! Finished Divergent last night. Can't get enough of this...I started Insurgent right away. A few of the others are on my daughters shelves and I will get to those eventually. Love Divergent trilogy. Get a copy of Four's POV and read that. It's awesome! I haven't read any of the books you listed above, but many are on my TBR and now I cant't wait to dig into them. I have so many favorites, it's hard to name them all. Yes, so hard to make such a list. This is just a bit of what I love. If I havnt read a book its because I havnt gotten my hands on it. If I get it or have it Ill read it in a heart beat and would relish the opportunity for any of them. Thank you for this opportunity. whoo hooo!!! What an awesome birthday present this would be if I won!!! I really want to read most of these, and the couple that I have read already, I would love to read again and brag to all my friends!!! hehehe. Thank you for this giveaway! Its awesome! Thanks! I have never heard of GhostWalkder. I want to read VAmpire Academy very badly! My favorite released in 2012 at this moment would probably be Beautiful Disaster. My favorite that I read in 2012 would be the Hunger Games trilogy. I haven't read any you listed yet, several were already on my TBR list. I'll be adding the other suggestions. Thanks!! I read that and Walking Disaster as an ARC. I wasn't thrilled but I think it's just b/c I'm not much of a contemp person. Loved The Hunger Games. Thanks! I have heard good things about Easy! Shatter Me was released in Nov 2011, but I didn't get to it until January or Feb 2012. I read Unravel Me as soon as it was published! I read Clockwork Angel, Divergent, Shatter Me,and Obsidian. 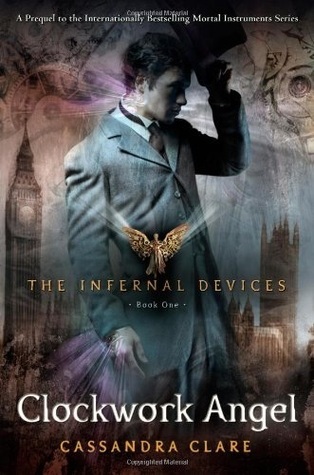 I've finished The Infernal Devices series. OMG Cassandra Clare is a genius indeed. Thanks. And yes, if you read my notes on Clockwork Princess on GR(as I haven't had a chance to do my review yet)I call her genius. B/c she just is. I actually liked Clockwork Prince the best out of the three, which is unusual b/c usally the middle book of a trilogy is not as good. But, ugh, she's just amazing. I only read Divergent from your list. It was really good, I loved it quite a bit. Although, my favorite 2012 book was probably Touch of Power by Maria V Snyder. You should check her out if you haven't, I highly recommend her. Happy Blogoversary! I'd say some of my favorite 2012 books were Shadow and Bone, Code Name Verity, Graffiti Moon.. Thanks Jen! I am looking forward to seeing you as well! Sadly, I don't think I read any of the books you read in 2012. Probably, because I don't get to read as many "new" books. Well, Shatter Me was published in 2011, so maybe you can get that one as it's not new anymore? Shatter Me, Divergent, and Obsidian are definitely among my faves of the last year! I didn't read any of those, sadly. My favorite book of 2012 was Tell the Wolves I'm Home. Never heard of that one. Will have to look into it. 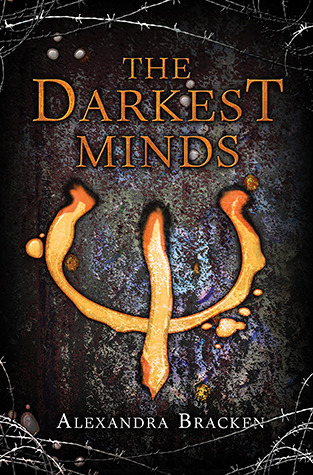 I have actually read all of these books except The Darkest Minds! I think I read them before 2012 but I really enjoyed most of them =) Splintered, Shatter Me, and Divergent are some of my favorites! You should read it! It's quite good. 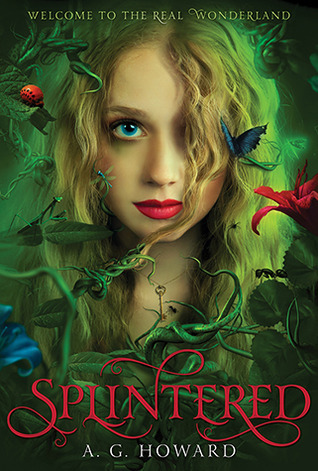 Splintered didn't come out until Jan 1, 2013. Thanks. Those two are definitely amongst my very tops for my latest reads. Especially Splintered! Have heard great things about Rot and Ruin. I loved Everneath, but I read that this year. Pandemonium was excellent, best of that series IMO. DoS&B, again, have heard great things. I could go on, too. This list was NOT easy to make and certainly does not include everything I loved. So many great books in 2012. Oh Christina I'm so glad you said that. I was NOT happy with the final book. What a let down and change from the pacing of Pandemonium (which I know many people hated b/c of the Alex factor but I thoroughly enjoyed it). I'm always on the wrong side of the love triangle, so I'm totally pro-Julian. Although after the last book, I think Julian and Alex should have a bro-mance and leave Lena behind and find some girls that actually love them in a healthy way!!! I totally agree with the pacing of Pandemonium. I thought it was absolutely terrific. LMAO! I agree. I actually liked Julian. And people were SO pissed. UGH! What did they expect her to do, stop her life completely when she thought he was gone? I mean, I knew in my heart that he wasn't, but still! I got the book in the morning around 10am and was finished by the time I went to bed at 10pm (even with kids and activities!). I could not put it down. It was a truly great book! I read Obisidian too and it was absolutely one of my favorites as well! This is an excellent list. Most of these are on my to-read list :D Jaclyn @ JC's Book Haven. I was buddy reading Obsidian with someone. We had agreed on a few chapters a day. Next thing I know, we both finished it by the next day! I couldn't put it down! LOL!